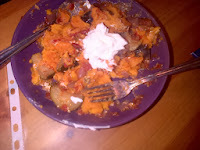 My ratatouille involves onions, garlic and tomatoes as the base. 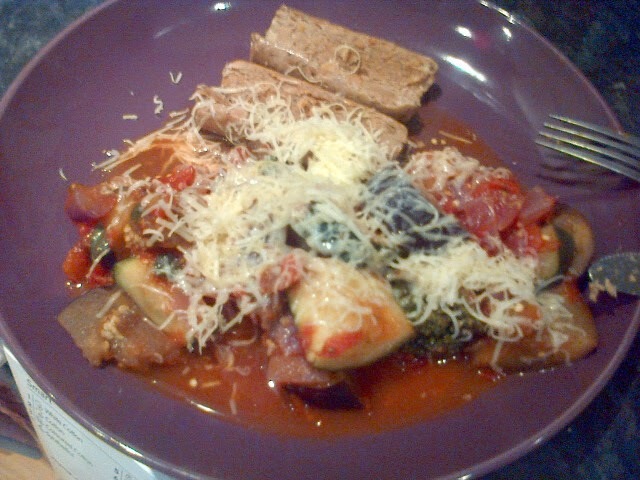 This week I added courgette, aubergine and broccoli to the mix. 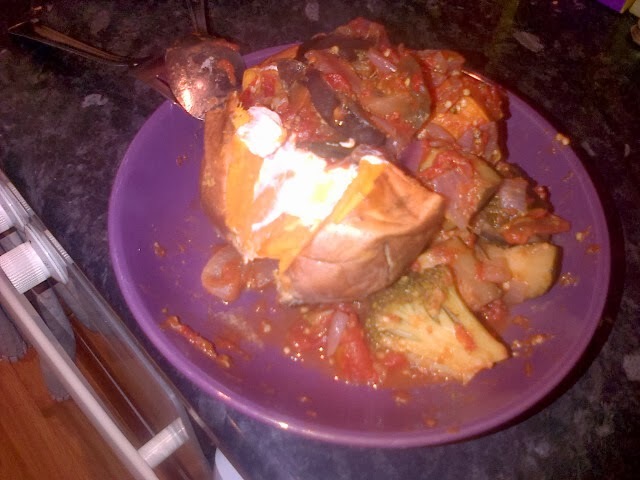 Its SYN FREE which is fab as its delicious and filling. Here are a couple of the ways I enjoyed mine this week. baked sweet potato with Quark. 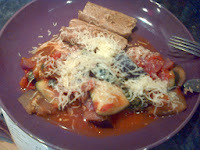 I also had my third and final serving with some wholemeal fusilli- SYN FREE!